Acknowledged author undefined wrote The Bluebook: A Uniform System of Citation comprising 560 pages back in 2015. Textbook and etextbook are published under ISBN 0692400192 and 9780692400197. 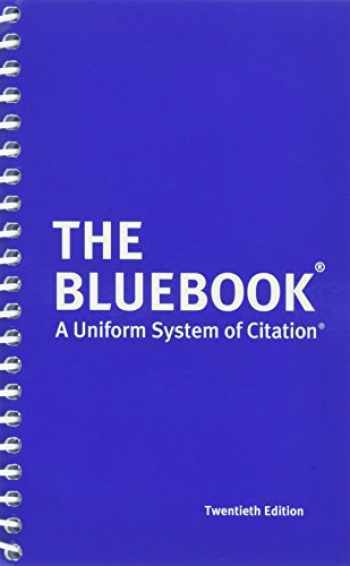 Since then The Bluebook: A Uniform System of Citation textbook received total rating of 4 stars and was available to sell back to BooksRun online for the top buyback price of $16.92 or rent at the marketplace. The Bluebook: A Uniform System of Citation 20th Edition, Presents a guide for lawyers for constructing citations, covering the format of citations from a variety of legal sources, including court cases, statutes, books, periodicals, electronic media, and international documents.